I had a similar time getting my husband to do the SA. 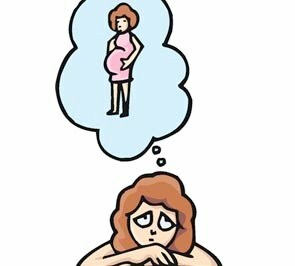 I think that as women we give so much thought to each and every aspect of our fertility and all the tests and analysis that goes with it (and we’ve been poked and ‘inspected’ enough times) that we forget how bizarre it might sound to someone else, even if that someone is your darling husband. My approach was to talk him through it, and most importantly the reason why WE were doing all these things, and that I didn’t find it comfortable or enjoyable at all either… It’s definitely something that you both have to be on board about otherwise it can be very hard going. At the end of the day he’s the one who’s gotta give the sample, but you have to have the full picture. And as for the tests being done by diff labs, my FS told me that it’s not so much the lab that does the analysis as the standards they apply to the sample. For eg while we were still with our gynaecologist, and therefore solely reliant on the Pathcare results, my husband’s morphology came back depressingly low. The scientists at our fertility clinic have used the same sample to conduct their own analysis using a different test and the results are much more positive – practically normal. So, what I’m saying is, don’t let the initial results dictate you response/emotions. I was devastated, but it turns out it wasn’t nearly as bad as we were first led to believe. Yes, I totally agree that we’re so accustomed to be scrutinised that it didn’t occur to me that this kind of close examination could be so uncomfortable for him. I have started talking more about it (the FEELINGS! heh) – we’ve agreed that we need to know more about what the options are when we go in balls to the wall. We’re not there yet, I’m afraid.